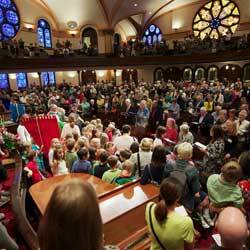 Last Sunday (October 2) Minneapolis’ Westminster Presbyterian Church joyously celebrated World Communion Sunday with Cuban and other Latin American music. Our musical leader was Charanga Tropical , a Minneapolis group that performed in the 2015 International Danzón Festival in Havana and whose leader, Doug Little, is a Westminster member. To the right is a photograph of the group in Cuba. Their Prelude was “Centro La Libertad Güira de Melena” (danzón); their Postlude, “A Gozar Con Mi Combo” (son), both by Orestes López, a prominent 20th century Cuban composer and bandleader. 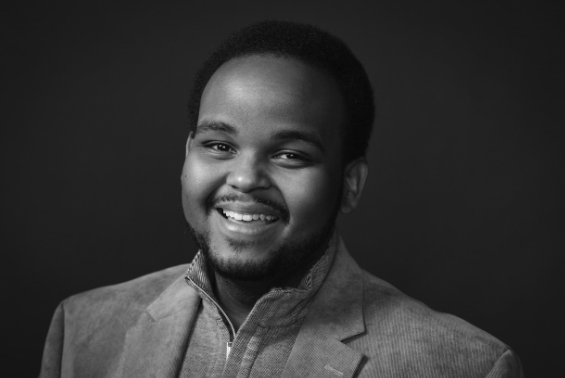 Another musical highlight of the main service was the Westminster Choir’s singing the World Premiere of the beautiful anthem, “Love Is,” by our Director Choral Ministries, Tesfa Wondemagegnehu, whose photograph is to the left. The joyous music and words of these worship services were infused by our congregation’s special connections with Cuba. For the last 14 years we have had partnerships with the Presbyterian-Reformed Church in Cuba (Iglesia Presbiteriana-Reformada en Cuba) and one of its congregations in the city of Matanzas on the north coast of the island east of Havana. Many of us in Minneapolis have welcomed visits by Cuban pastors and members and have been on mission trips to our partners, and I have been on three such trips. During the service I prayed for all of our Cuban brothers and sisters. A video of the main service in the Sanctuary is available online as are the bulletin for the services and the text of the sermon. A list of posts about Westminster’s connections with Cuba is found in the “Cuba & Minnesota” section of List of Posts to dwkcommentaries—Topical: Cuba.